Shelves full of informational brochures, health aids, and other over-the-counter remedies. Pharmacists filling and checking prescriptions, tending to paperwork, and meeting with customers. Tucked into a portion of a busy Fred Meyer retail store, it looks like a typical community pharmacy. Except there’s a difference. A big one that could help transform how and where many routine health care services are delivered. Located in the Vancouver suburb of Mill Plain, it’s among the first wave of enhanced pharmacies where customers not only can fill prescriptions but receive direct medical care for a range of common ailments that would otherwise require a trip to a doctor’s office. 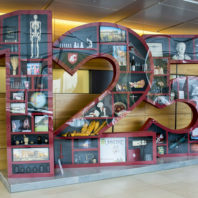 From a clinical room alongside a separate waiting area, McCarty and his pharmacists are treating urinary tract infections, swimmer’s ear, and nearly two dozen other common ailments as part of a pilot project with Washington State University’s College of Pharmacy. They’re also able to treat burns, yeast infections, dog bites, strep throat, and severe headaches, including migraines. And, they administer a range of vaccines and shots, while providing emergency prescription refills for a variety of conditions. Think of it as a cross between a traditional neighborhood drug store and a window into the future. As physician shortages worsen, pharmacists and other health science professionals are preparing to take on greater primary care roles. Some medical organizations already are transitioning pharmacists onto patient care teams, and at WSU all health and medical science students now train collaboratively in an effort to enhance overall care. Additionally, pharmacies are as much a part of American neighborhoods as the local grocer. As of 2012, according to an industry study, 93 percent of Americans live within five miles of a retail pharmacy, many of which are open 12 to 16 hours a day, seven days a week. 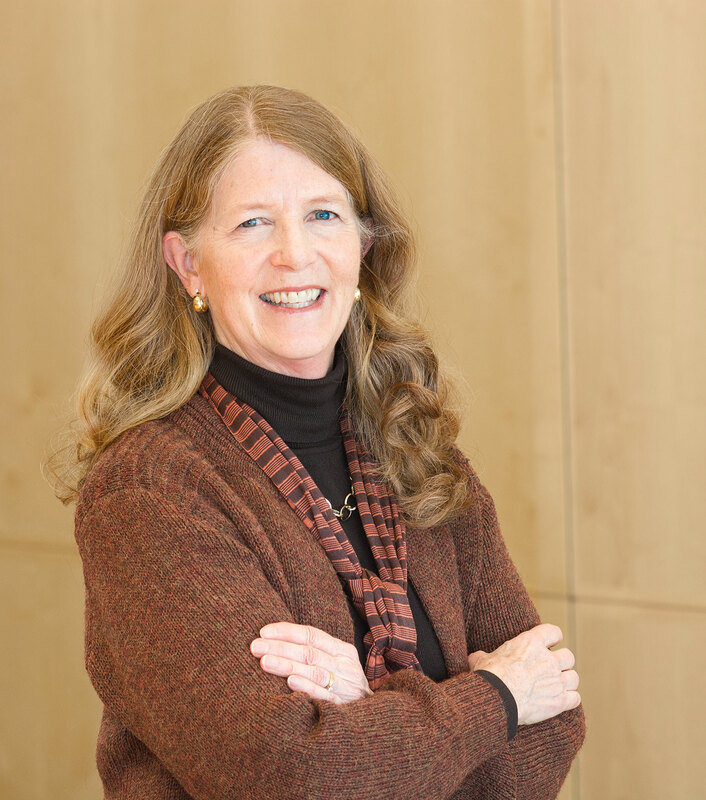 Akers and Linda Garrelts MacLean ’78, associate dean for advancement at WSU’s College of Pharmacy, are studying the effectiveness of pharmacy-based treatment as part of a four-year research grant from the National Association of Chain Drug Stores Foundation. The goal is to develop baseline data that can be used to measure how enhanced pharmacy services are affecting health care quality and access. Although they suspect the study will find the cost and quality is comparable to the same type of treatments provided at doctor’s offices, urgent care centers, and hospital emergency departments, Akers and MacLean stress it can’t replace a family physician. 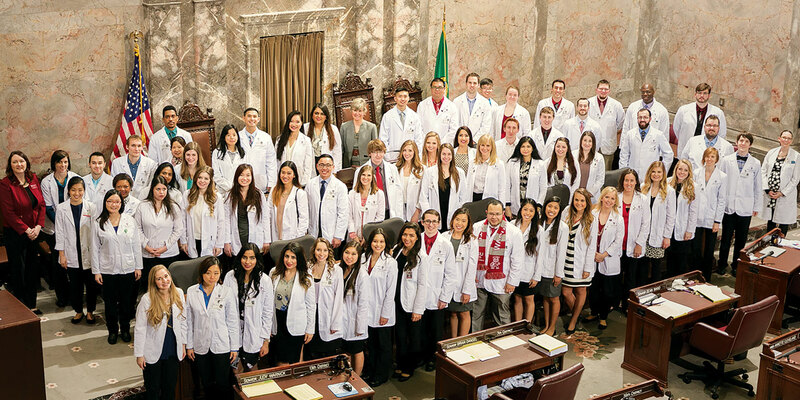 Making it possible is Washington’s generally progressive approach to pharmacy practice. It’s among a handful of states that extend broad treatment authority and in 1979 became the first in the nation to grant prescriptive authority to pharmacists who enter into working agreements with local physicians. Fred Meyer already was moving toward enhanced operations at its pharmacies in southwest Washington. Previously, for example, it had developed working protocols with local physicians to provide pharmacy-based smoking cessation services. Its pharmacists also are available for international travel consultations and able to administer required or recommended vaccines as well as prescribe motion sickness remedies for those embarking on ocean cruises, for example. The pilot project launched in September, and some of the company’s Vancouver-area pharmacies already are seeing customers from across the Columbia River in Oregon who’ve heard how quickly they can get treated for certain conditions in Washington. Other retailers, including Bartell Drugs, Costco, Rosauers Supermarkets, and Yoke’s Fresh Markets, are also working with WSU to introduce enhanced pharmacy operations. Getting to this point has taken a combination of educational advancements, professional development, and legislative intervention. 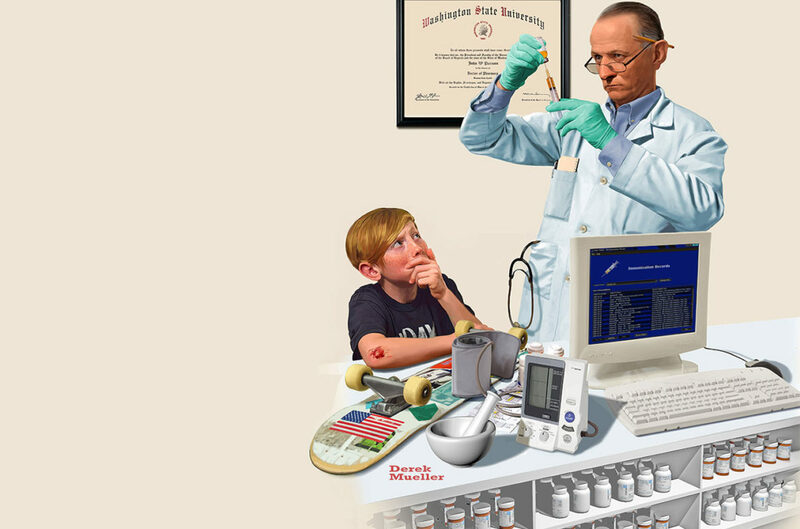 It largely began in the late 1990s, when pharmacy education underwent dramatic changes. Bachelor programs were discontinued as pharmacy colleges transitioned to doctoral degrees that put greater emphasis on overall health science. Then, pharmacists took on greater therapeutic counseling roles, working directly with their patients to help them understand how best to use prescribed medicines and evaluating dosage levels and medicinal interactions. 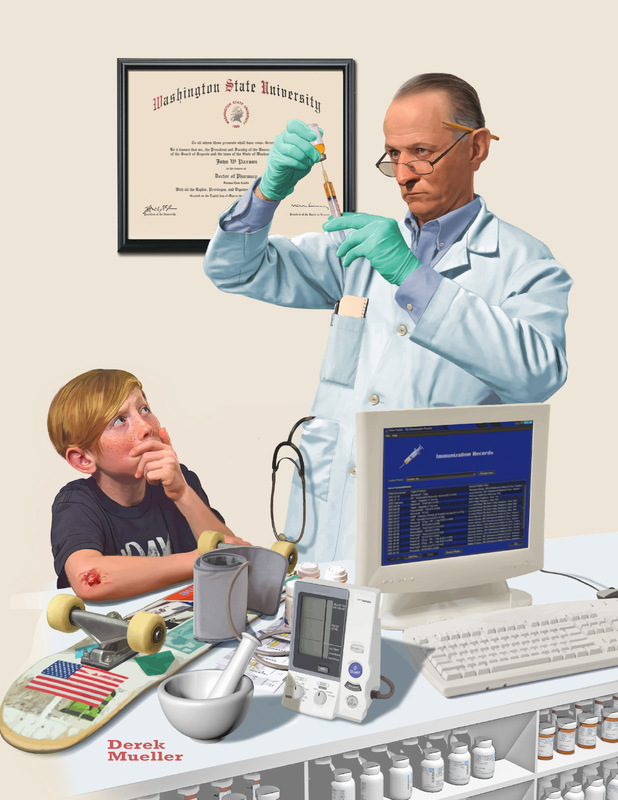 About the same time, many states expanded the authority of pharmacists to directly administer vaccines and other shots. The expansion into clinical treatment has long been seen as the next logical step, but the reluctance of insurance companies to reimburse pharmacists for services beyond the cost of dispensed medications has been a stumbling block. In Washington, state law requires insurance companies to reimburse licensed health professionals for authorized services they deliver. It’s how medical centers and clinics are able to get reimbursed for services provided by nurse practitioners, for example, or physician assistants. But insurance companies had excluded pharmacists, even though the same procedures were covered if performed in a doctor’s office. It took a legal ruling from Washington’s attorney general and the intervention of a bipartisan panel of state lawmakers to change that. Legislation introduced by Parlette requiring insurance companies to reimburse pharmacists for clinical services they’re licensed to provide won near-unanimous approval last year and was signed into law by Governor Jay Inslee. Pharmacists seeking reimbursement must be part of the insurance carrier’s approved provider list. Pharmacy faculty at WSU and the University of Washington are assisting in its implementation. The new requirement, which is being phased in through 2017, puts Washington at the forefront of enhanced pharmacy clinical services nationwide. 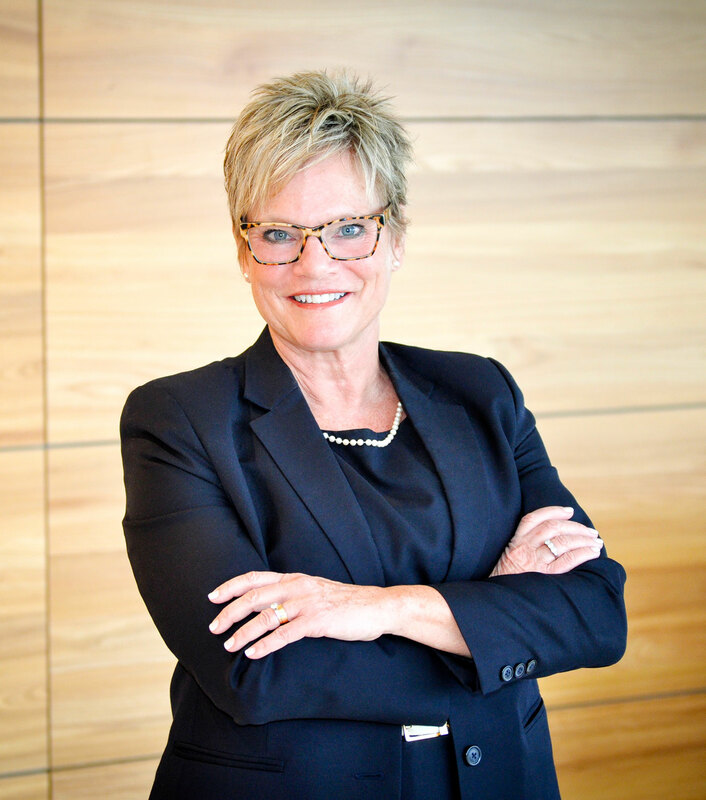 “Most community pharmacies haven’t fully explored the extent of what they can do,” says Akers. Meanwhile, as the legislative battles were being waged, health care organizations that don’t rely on insurance reimbursements have been transitioning pharmacists into greater primary care roles for a while. 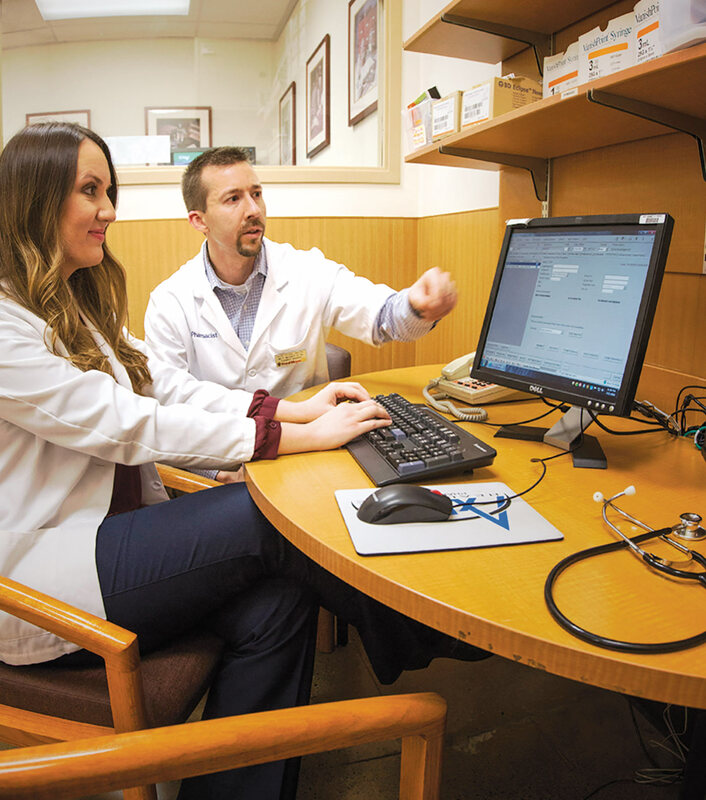 At the Mann-Grandstaff Veteran’s Administration Medical Center in Spokane, for example, clinical pharmacists are handling some of the more routine patient exams. They primarily monitor drug interactions and the effectiveness of treatments that rely heavily on prescription therapies, such as high blood pressure and cholesterol. By assigning certain follow up visits to licensed pharmacists, who can bring in staff physicians if necessary, it gets patients in quicker and enables medical doctors to focus on those with more complex needs. Enabling the enhanced roles is the increasing academic and clinical preparation that pharmacy colleges have built into their curriculum. Additionally, all of WSU’s health and medical science programs emphasize cross-disciplinary cooperation. That emphasis soon will be moving beyond classroom simulations. 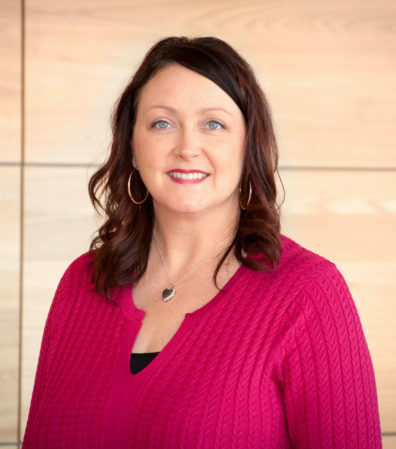 A 43,000-square-foot medical clinic nearing completion at WSU Spokane will house a physician residency program that also will enable nursing, pharmacy, and other health science students to gain practical experience working together as primary care teams. WSU Spokane Chancellor Lisa Brown describes it as key to improving health outcomes and lowering costs. In Spokane, where WSU’s health and medical programs are located, exposure to the team approach begins early. That training includes simulations based on actual medical cases and uses local actors and actresses who have been trained how to behave during exams and how to respond to various questions that might arise from the student teams. The cases typically involve multiple chronic conditions, such as asthma and anxiety. 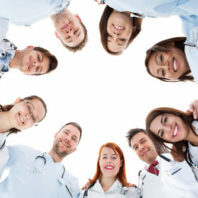 Those studying to become medical doctors, physician assistants, and nurse practitioners do the actual diagnosing but often must rely on the expertise that the other members of the team bring from their fields of study, such as nutrition and occupational therapy, to determine the proper course of treatment. Back in Mill Plain, few know better than McCarty the emphasis WSU places on clinical services and interdisciplinary cooperation. He entered the workforce nearly two decades ago and, like many veteran pharmacists, it took a bit of a shift to prepare for the challenges of providing pharmacy-based treatment. He embraced the challenge, though, and now strives to help others understand how much the profession is evolving. That’s why when a patient arrived at the pharmacy for a clinical procedure not long ago, McCarty called over the intern to observe and help out. But it was McCarty who ended up being impressed. Allergies and allergic reactions, certain respiratory ailments, burns, animal bites, insect stings, strep throat, swimmer’s ear, urinary tract infections, and vaginal yeast infections. They also can prescribe emergency refills for epinephrine, migraines, birth control, and insulin. Training medical professionals to work together for treating patients.